Aalborg Sygehus Syd. 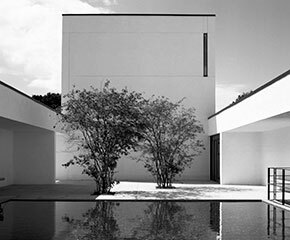 Architects: Friis & Moltke. For this hospital Randi has supplied Novo-Line® dispensers etc. designed by Friis & Molte Design. Aalborg Sygehus Syd. 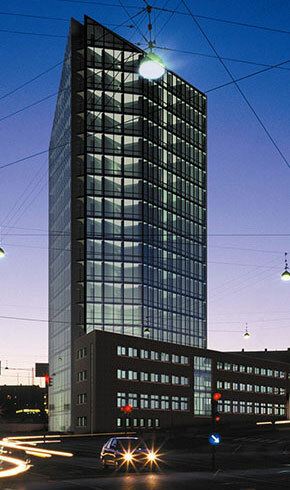 Architects: Friis & Moltke. Friis & Moltke are noted within the design world for their all-round attention to detail, often in stark contrast to more traditional designs within the sector in that they theme all components into a wholesome, sculptured and colourful drama. Their choice of colours, shapes and finishes is not based on any particular functional requirements but on a desire to create a more resonant effect. The collaboration with Friis & Moltke began many years ago with the creation of Novo-Line®, a range of functional, solid bathroom fittings, originally designed for hospitals. The series includes waste bins, hooks, toilet brush, dispensers and other bathroom fittings in stainless steel. Dispensers also available with a powder coat painted finish. Over the years, more products have been designed by Friis & Moltke Design in collaboration with Randi. 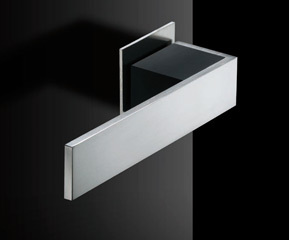 The range of trim – Randi-Line® Square - was designed with the desire to shape a range of characteristic lever handles. 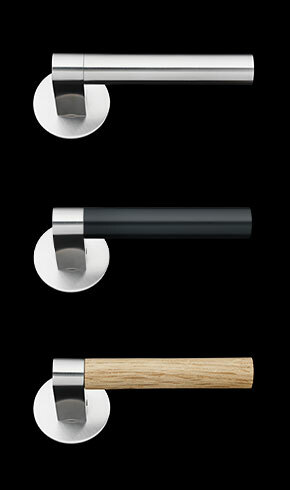 The latest lever handle, Randi-Line® Grata, features a unique mix of materials, making it possible to create harmony with the interior of the building.